This 1999 Slate article by Janelle Brown, “Professor cyborg,” is not only interesting in its own right, but also for the sense of novelty elicited by a researcher, Kevin Warwick, a professor at the department of cybernetics at the University of Reading in England, and his creation of a personal Internet of Things that at Y2k was very wow, but no longer seems very special. Now he can grab an Apple watch and save himself some stitches. Compare that to this 2009 NYT article, “The Coming Superbrain” by John Markoff, which points out that “we” can never become like “them”: the best we can hope for is that we will be them. 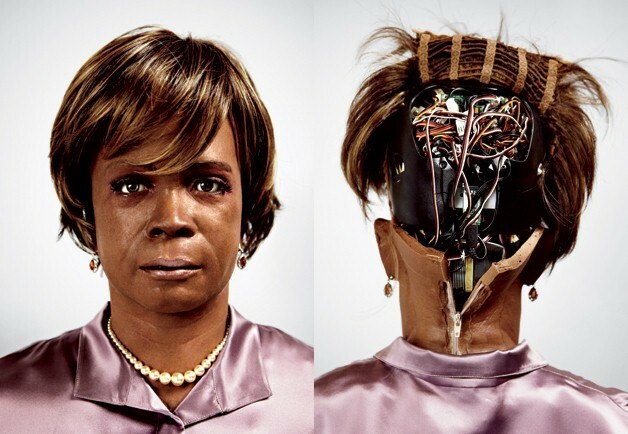 And, today, Moya Bailey brings our attention to Bina48, which is “designed to test whether a person’s consciousness can be downloaded into a non-biological or nanotechnological body...”.